I got an email out of the blue from Vik G. of VG Games, the 16-year-old developer of Gravity Flipper asking if I'd play and review his game. Since I don't get many requests like this, but especially because it was free, I gave it a shot. The developer said that the game had been described as "the next Flappy Bird". Considering Flappy Bird was more like Crappy Bird and totally forgettable in every way except for its enigmatic popularity, I figured that it wouldn't be hard for Gravity Flipper to outdo it. And it does, quite handily! At first, you may find yourself a bit disappointed by the game's misleading title. 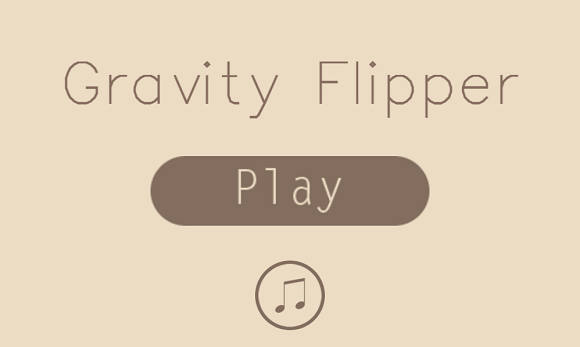 It turns out that Gravity Flipper is not about a dolphin from space or even one with gravity altering superpowers. But... I guess that not including dolphins is a forgivable offense and I expect that putting one in would have caused some copyright issues anyway. 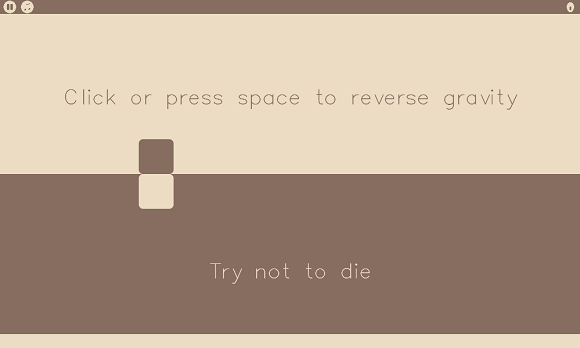 The gameplay is simple: you must tap or press space to reverse gravity, thus moving each of two squares up and down. 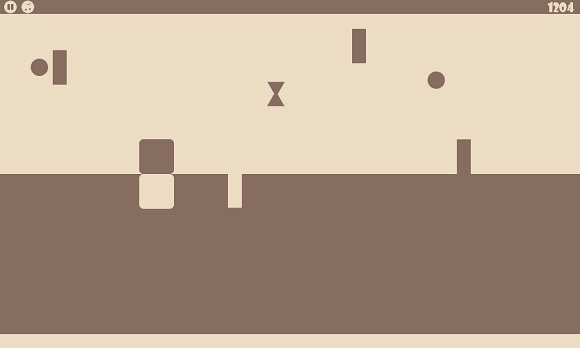 The goal is to survive as long as possible by avoiding randomly placed walls and moving obstacles, collecting circles for bonus points, and occasionally hourglasses to slow down time. If either square hits an obstacle, it's game over! As you can see from the screenshots, Gravity Flipper's art style is smooth and minimalist, which also gives it points above the many other free apps which resort to stealing sprites from other games. There's also some mellow piano music that accompanies the gameplay, although this can be muted if you want. Since there are no in-app purchases or spam-your-friends requirements, it's easy to keep playing it over and over to try to get higher scores. There are occasional ads which support the developer, but you can hardly count that as a fault when the game is free. 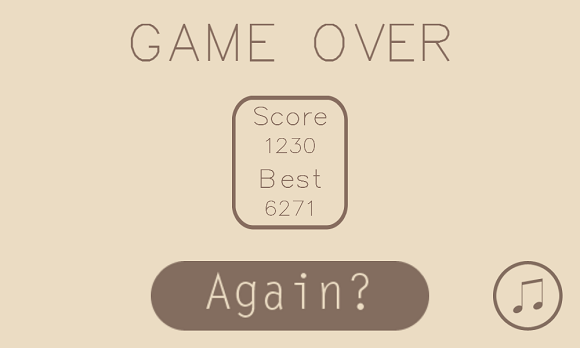 I've since beaten this high score. Don't think so little of me. Disclaimer: This review was made by request, but I received no monetary compensation or any other kind of payment from the developer for writing it, nor do I know the developer personally.